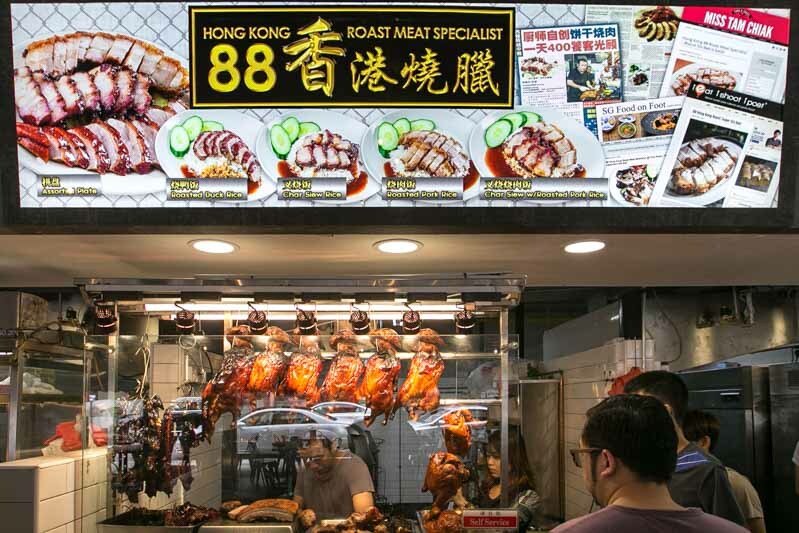 Fans of 88 Hong Kong Roast Meat Specialist would gladly admit that although they have the best Sio Bak in Singapore, the Chef/Owner Martin Ong seems to have a penchant for changing his stall location ever so frequently. 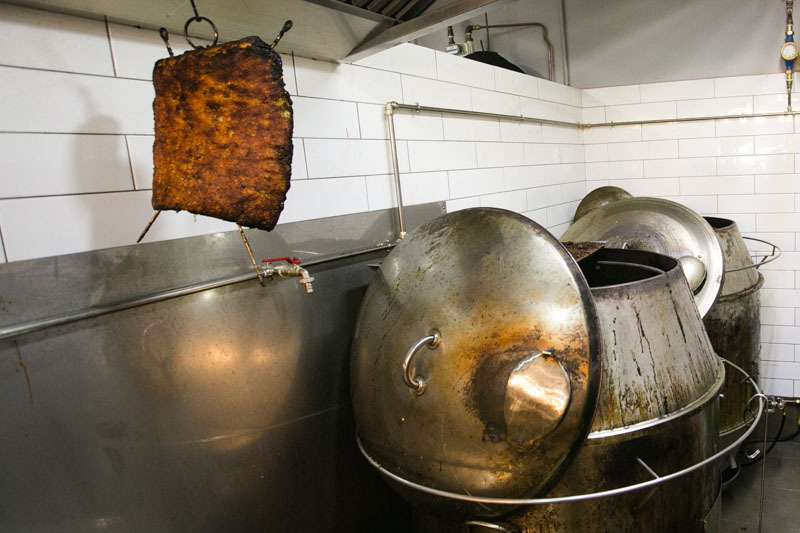 The move was to have a bigger space for more ovens to roast, ensuring that the meats won’t be sold out too fast. We’ve received news that he has since re-opened his store just down the road from his previous location at 30 Foch Road, and of course we had to pay a visit to try out the entire variety of roasted meats. 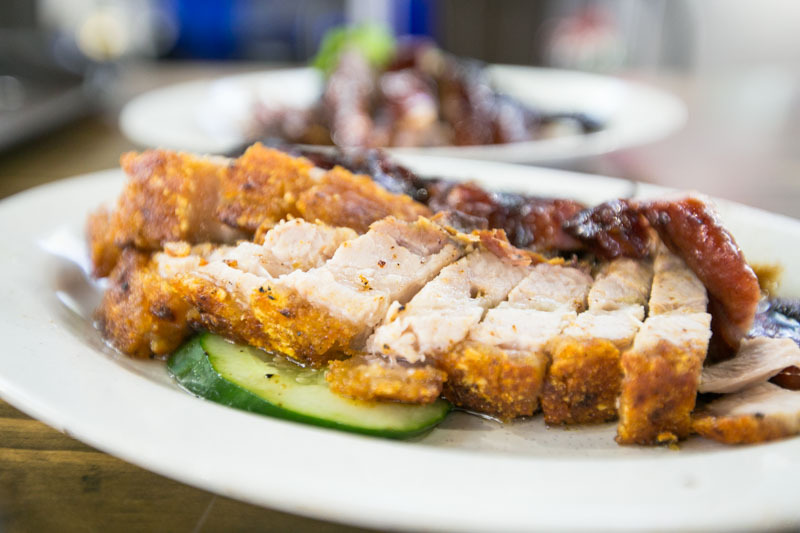 No visit here should begin without ordering the legendary Sio Bak ($3.50), which is essentially Crispy Pork Belly. A thick biscuit-like layer of crackling sits on top of interspersing layers of juicy meat and fat. The slices are thickly cut to allow appreciation of all the flavours in each bite. You really get to taste the natural flavours of the pork belly as only sea-salt is used in the marination process. Not to be out-classed by the Sio Bak, Chef Martin has improved his Roast Duck ($4) recipe. The meat is juicy without being too oily and has a crispy skin that produces a glowing sheen, with just the right amount of fat underneath it. 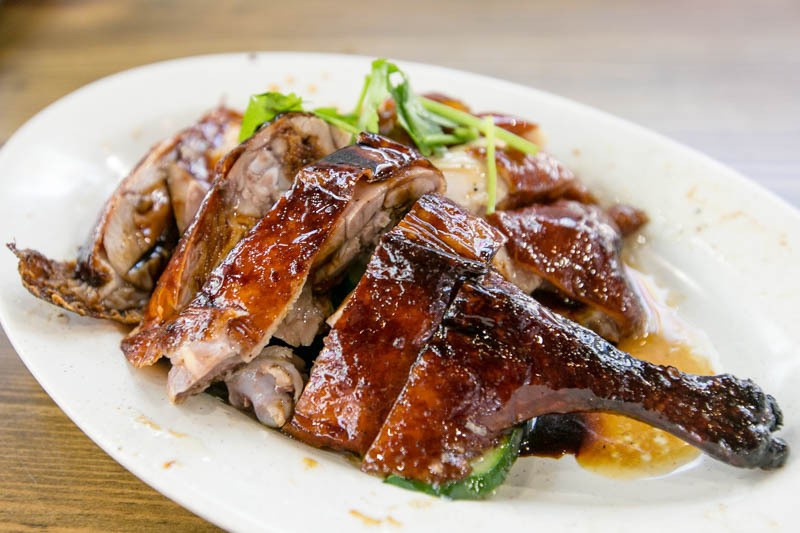 The duck meat was not overly seasoned, allowing the natural flavours of the meat to come through. What is a Roast Meat stall without Char Siew right? 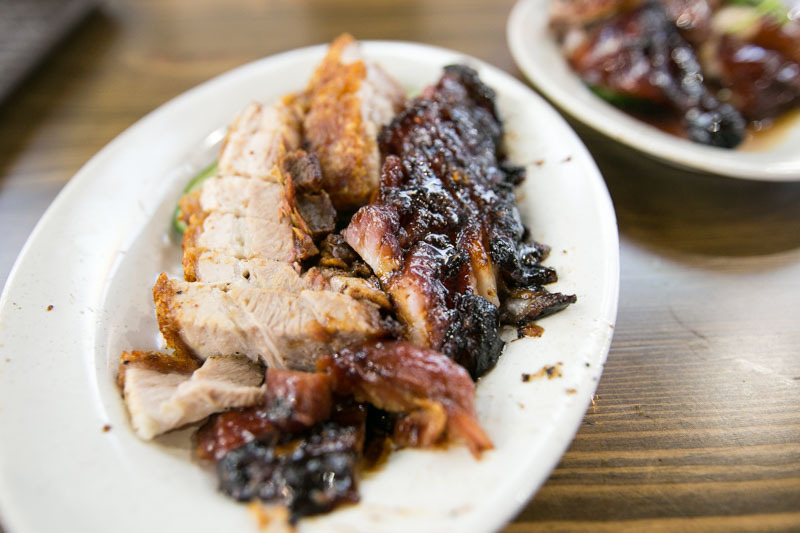 The Char Siew ($3.50) here is coated with a sticky sweet and dark marinade, which is perfect with slightly charred meat that carries a hint of smokiness. The thick cuts of pork belly Char Siew have a perfect balance of tender lean meat and fat, interspersed with the charred outer layers. Also, available on the menu for Chinese New Year is a slightly pricier cut ($70/kg) of the Char Siew which uses the meat from iberico pigs. Prized for its tenderness and flavour, you might want to include this in your takeaway reunion dinner menus. 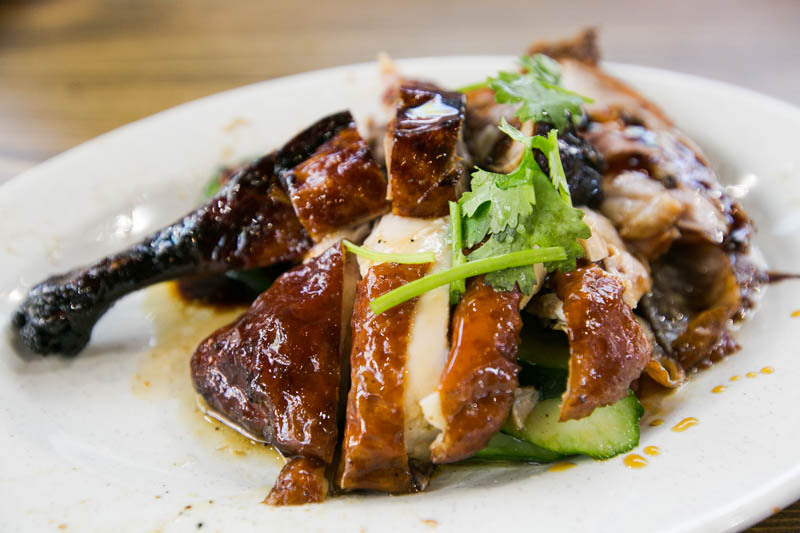 While rice may just be the accompaniment to the assortment of roasted meats, Chef Martin has brought in a partner who has expertise in preparing Soya Sauce Chicken ($3.50) and Chicken Rice ($0.50/bowl). So up your rice game and trade up a bowl of normal rice for the fragrant and aromatic Chicken Rice. The Soya Sauce Chicken we had was tender and juicy but it was just a tad too oily for my liking. Chef Martin has dedicated himself to perfecting the roasting of the various meats. In our chat with him, we were glad to find that he is not simply resting on his laurels, but rather continues to improve his skill in roasting. He has opened another stall selling wanton noodles which we will definitely be back to try. We even heard that he is planning to experiment roasting other birds – pigeon or goose, anyone?